Obituary for Linda L. Trump | William F. Conroy Funeral Home, Inc.
Age 66, of Crafton Heights, passed away on Friday, May 11, 2018. 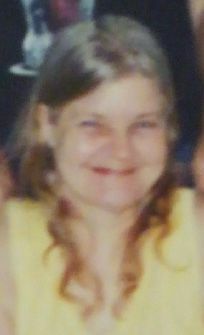 Beloved wife of Robert Trump; loving mother of Michele Concanon, Stephanie Ventura, Michael and Brian Concanon; cherished grandmother of Tony, Michael, Ayanna, Samantha, Calista, Zachary, Melanie, Diane, Cassidy, Alexaundra, Malachi, Brandon and Deanna; sister of Gary Horvath and Denise Stych. Linda will be missed by her family, extended family and friends. A memorial service to celebrate Linda's life will be held at 2 p.m. on Saturday, June 16th at Cook School Park, Bridgeville, PA. Arrangements entrusted to the WILLIAM F. CONROY FUNERAL HOME, 2944 Chartiers Ave., Sheraden.